It is easy to forget about Vista - the not so glorious predecessor of Windows 7, in midst of all the hype surrounding the upcoming release of Win-8. But there is still a considerable number of PC users out there who, for various reasons, are still hooked on to this operating system. If you belong to this category then the latest announcement from Microsoft is of significant importance to you. 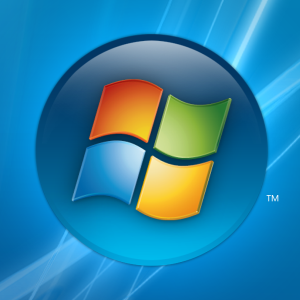 As of April 10, 2012 - Microsoft no longer will provide mainstream support for Vista. Mainstream support includes technical and security updates, automatic fix and patches and other operational supports. But this is not necessarily EOL (End of Life) for Vista as Microsoft offers an extended support for those in need. However, this applies only to the commercial/enterprise customers - not to the retail consumers. This extended support itself will be terminated in 2017 according to Microsoft, making Vista truly a thing of the past (If it's not already for most PC users!). Launched back in 2007, Windows Vista was a highly anticipated product as it was supposed to be the new standard bearer of PC operating systems, much like its acclaimed predecessor - Windows XP. 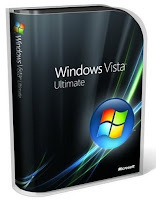 Codenamed as 'Longhorn', Vista was initially thought to be a minor step-up of Windows XP but went on to become a major release and it took MS almost five years to complete the development process. Vista brought a number of changes and new features along with it, specially in form of the attractively redesigned GUI called "Aero" and a better integrated shell functionality. The security mechanism of Vista also was much more robust than XP. But despite of all the bells and whistles, Windows Vista soon became subject to lots of criticism from experts and users alike and with good reasons too. While stable and robust as an OS, its unreasonably high system resource requirements, restricted feature sets and license terms, handling of copy protected medias garnered negative assessments world wide. Also, many users found the new UAC (User Account Control) feature to be inconvenient and unnecessary interfering in day to day tasks. All these resulted in a very low level of initial market adoption. Some improvised marketing and and few patches and fixes from Microsoft inspired an increased number of adoption in the later years, but Vista never reached the level of popularity that XP achieved previously. After the introduction of Windows 7, Vista's market share has been on a constant state of decline. 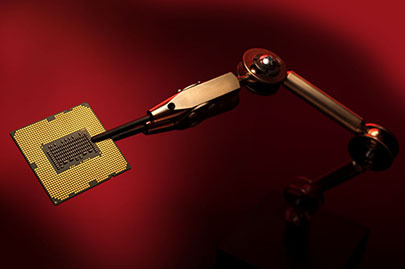 For the present day users, however, Window Vista doesn't pose a challenge as even today's entry-level PCs can easily handle its memory and graphics processing requirements. But now, with the unavailability of the mainstream support, the OS itself might become vulnerable to future security threats and loopholes. Microsoft has released two service packs for Vista, make sure you've the latest along with all the updates in case you need more time to migrate to a newer edition of Windows. The message here is clear - it's time to upgrade and considering most of Vista's features are also present in Win 7, that too in a more usable manner, there isn't any reason not to. As an alternative upgrade path, you can always try one of the various Linux Distributions. These are open sourced and fully featured modern operating systems that might just suit you. If you want to know more about the life-cycle of your retail or OEM version of Windows, go this page, additionally I found a FAQ too which might be useful in this regard. Thanks for the feedback. Could you please clarify a bit more on the issues you're having with the interface of this blog? Are the texts illegible and overlapping into other areas of the page? I use Firefox on both my desktop and notebook and the page layout looks just fine to me. I haven't recently checked this out from any mobile or tablet device but will try to do so.